As much as I love carbs combined with sugar (cake! brownies! cookies! ), I am equally smitten with carbs + cheese. Mac and cheese? Yum! Pizza? Yes, please. Grilled cheese sandwich? Bring it on. 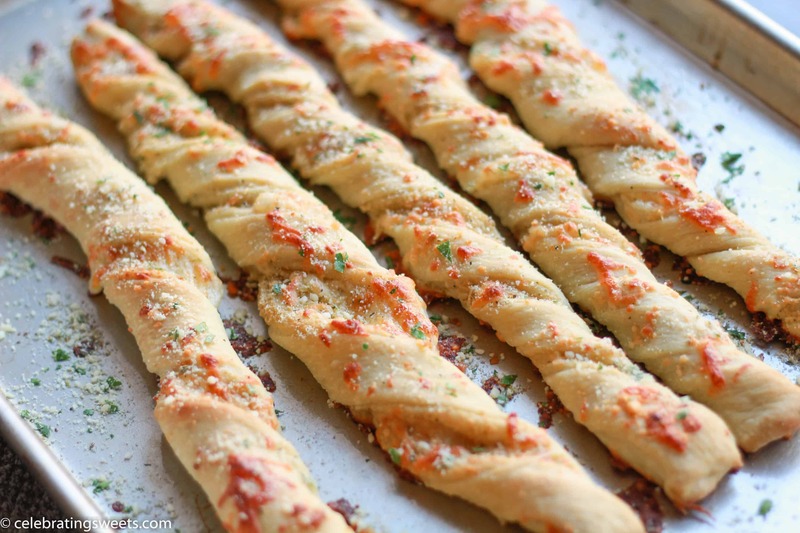 Cheesy garlic and herb breadsticks? Yes, yes, a million times YES! 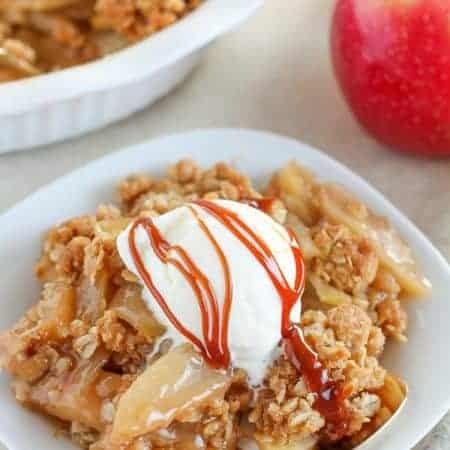 When I saw this recipe on Shutterbean I knew that it wouldn’t be long until I recreated it in my own kitchen. I’m so glad that I did. I have never made breadsticks before – crazy, I know – and now that I know what I was missing, I’ll be making up for lost time. These will definitely be a part of our regular dinner rotation. 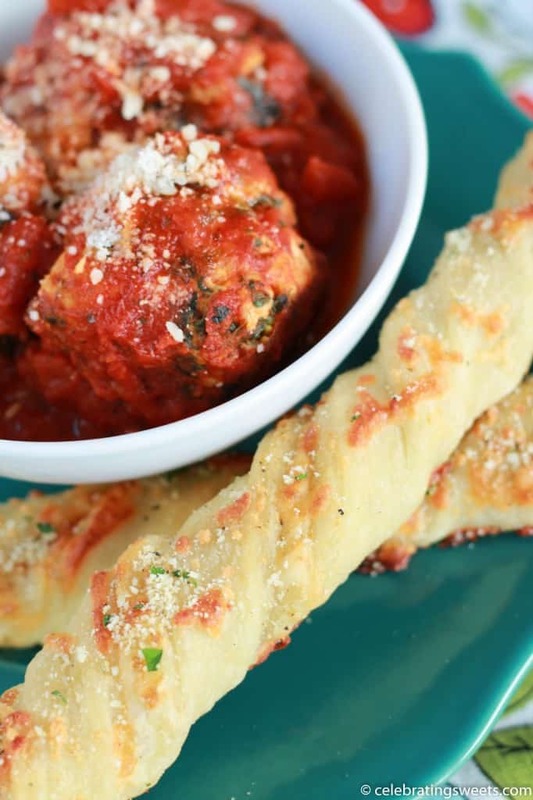 I served them alongside turkey-spinach meatballs with marinara, and the breadsticks were extra tasty dipped in the marinara sauce. I used store bought (Trader Joe’s) pizza crust for the dough, which made for an easy shortcut. There are a few steps involved in the recipe but none of them are difficult. To walk you through it: the breadsticks are made by rolling out pizza dough into a large rectangle. It then gets brushed with garlic oil and covered in herbs and cheese. The dough gets folded in half so that all the herby-cheesy goodness is on the inside. The dough is then cut into strips, which get twisted, and baked. After baking they get another brush of garlic oil and a sprinkling of cheese and herbs. 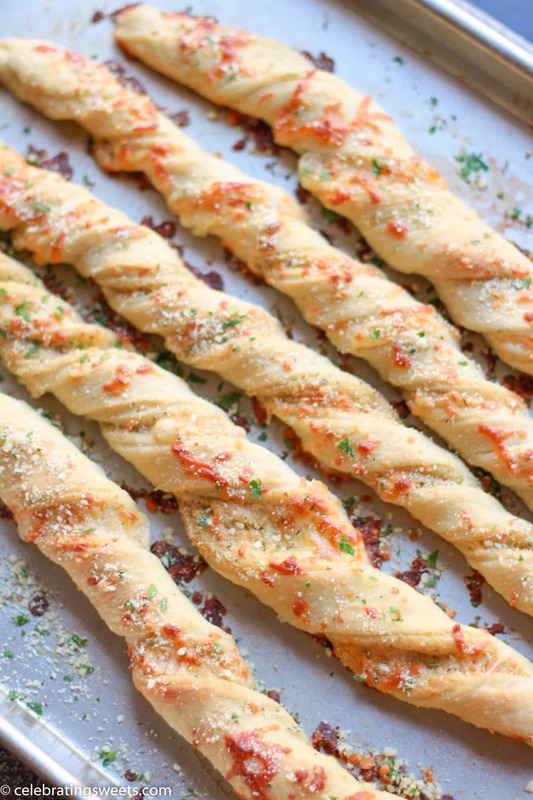 The cheesy goodness from inside of the bread twists gets bubbly in the oven and the outer edges crisp up perfectly. These are a delicious combination of soft, chewy, herby, and cheesy. Carb and cheese heaven. Soft, chewy garlic bread sticks filled with mozzarella cheese, parmesan cheese and herbs. Preheat oven to 400. Lightly oil a large baking sheet. In a medium bowl, stir together the italian seasoning, red pepper flakes and parmesan cheese. In a separate bowl, combine olive oil and garlic. Set aside. On a lightly floured surface, using a lightly floured rolling pin, roll out the pizza dough into a 15x10 inch rectangle. Brush the dough with a couple teaspoons of garlic oil and sprinkle a little more than half of the parmesan cheese mixture on top of the dough. Top that with the 1/2 cup of mozzarella and use your hands to press the cheeses into the dough. Fold the dough in half to make a 10x8 inch rectangle and pinch the edges firmly to seal. Run your floured rolling pin over the dough a few times to smooth it out. Using a sharp knife or pizza cutter, cut the dough into 6-7 equal strips. Twist each strip from both ends and transfer the twisted dough to the prepared baking sheet, spacing them about an inch apart. A little bit of the cheese filling might fall out while you're twisting them - that's okay - press some of it back in there. 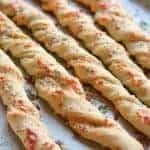 Once all the bread twists have been transferred to the baking sheet, brush them with the garlic oil and sprinkle any cheese that fell out during the slicing and twisting onto the tops of the breadsticks. Bake the breadsticks for 17-20 minutes, rotating the pan once halfway through the cooking time. Meanwhile, stir the parsley into the remaining parmesan cheese mixture. As soon as the breadsticks come out of the oven brush them with the remaining garlic oil and sprinkle with the parmesan parsley mixture. 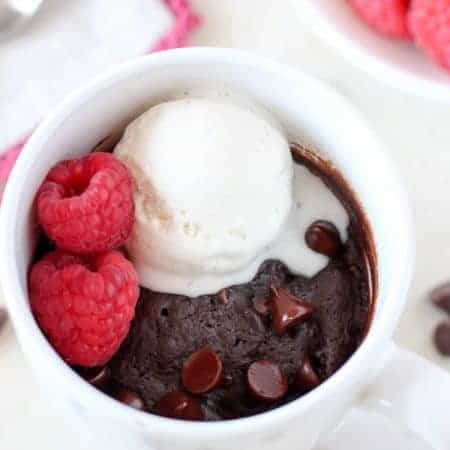 Holy cow do those look amazing! 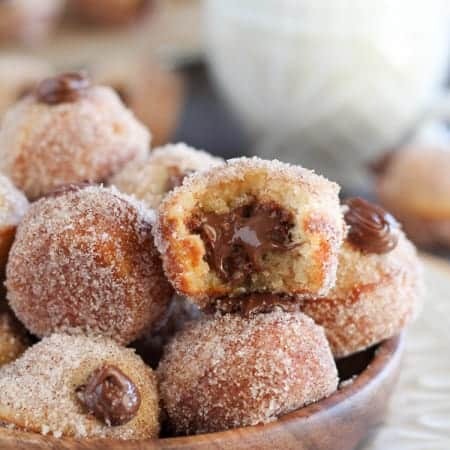 I seriously could bite into those right now and be happy! I love how easy these are. Trying them soon.